Should I Use Software Law Rather than an Attorney? When I was in law school, my brother gave me a box of software used for estate planning as a gift. He thought that since I was in my first year of law school, it would be a great way to analyze the documents that are used, learn about the process, etc. Though a very thoughtful present, I now know that using these kinds of programs can be very dangerous and lead to difficulties down the road. You can find these programs for a variety of different legal matters and in many topic areas: estate planning, business formation, divorce, contracts, etc. Legal software for wills is a very common desktop application sold by companies with no experience in the legal field. Often sold at a fairly inexpensive price, some may see it as an attractive alternative to seeking an attorney for their matter. However, a client is well advised to speak with an attorney instead of going it alone with such a program. These programs are not state-specific: Each state has its own laws and requirements. If you buy a software package, it may not comply with your state’s statutes, law or requirements. This could render your documents invalid or unenforceable. These programs are not updated with changes of the law: Even if the software does comply to some extent with your state’s laws, these laws change frequently. Your software will need to be updated on a regular basis. You will be required to know those changes and not having these changes in the law can cost you or your entire case. If you purchase a “subscription” based software, you are leaving your legal needs in the hands of computers that run programs based on a set of criteria with no personalization at all. These programs are general: These programs are often designed for a general and “main stream” type of case. It may not have the category that you need or know how to handle a specific topic, particularly if it is out of the “norm” for that situation. It may not caution you about certain language that is necessary or other language that may be helpful. Software can’t replace a person: I don’t care how specific and/or detailed a program may be, nothing replaces a human being that can review, analyze and determine the best method to proceed in a case. Technology has gotten us far in life but the mind is still necessary for legal matters. You’re best served with a train professional to guide you through the legal process. Experience counts: They call it the “practice” of law for a reason. As legal professionals educate, train and work within the field, they pick up tips and guidelines that are used to assist future clients and enhance their representation. That can’t come in a package. 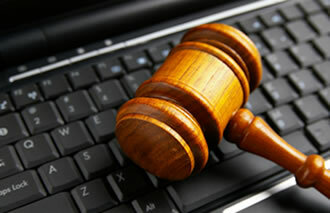 Software law packages may seem like the way to go on a legal matter. However, nothing can replace sitting down with an experienced lawyer who will take the time to listen to all of your thoughts and your specific situation when drawing up legal paperwork. Call me if you need a consultation on a legal matter. If I can’t help you, I can help you to find an attorney in your area of law. You can reach me at (978) 225-0661 or (603) 373-0545 or email me here.